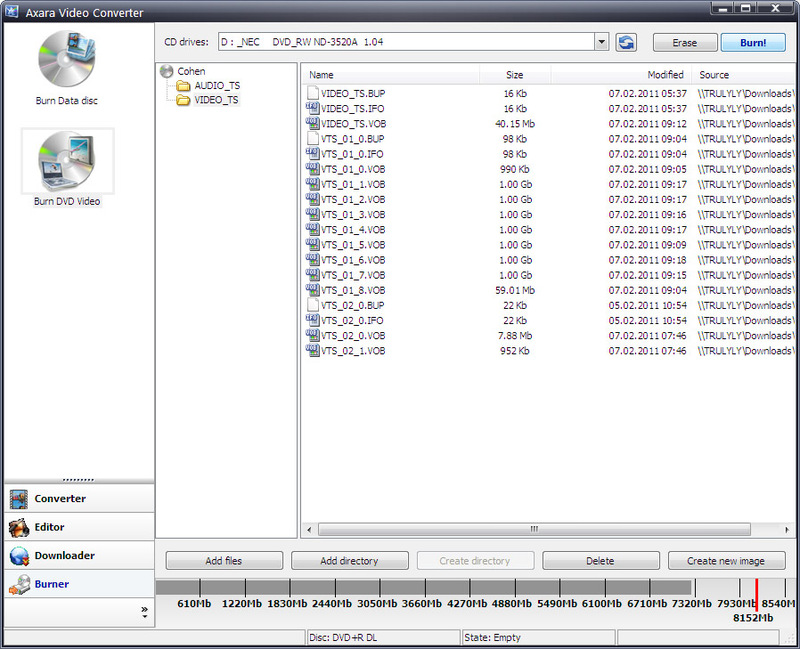 Home Axara Video Converter - Converter, Editor, YouTube Downloader, DVD Ripper and DVD Burner - all-in-one video tools. The program is made for dvd ripping, converting, editing and burning your personal videos. It can rip DVD and convert videos into different video formats and for any media devices: DVD players, iPod, iPad, PSP, Archos, Creative Zen, Zune, any mobile phones, including iPhone, BlackBerry, Samsung, LG and many others. Moreover, with the help of included Video Downloader you can easily save and convert video clips from Web Video Services such as: YouTube, Facebook, Break.com, RedTube, Metacafe, Yahoo Video etc. Learn more about potentialities of our converter & variety of supported video formats and codecs. After adding a video file into the program, you need to choose the quality of the result video for iPod, if you don't, the program will choose the highest quality itself. you don't need any deep knowledge of the program as it has friendly interface ready to convert a video immediatelly. In contrast with other video applications such as video converters and DVD rippers, our Video Converter is a full variant, as it does not only convert the video files, but also it can download videos from different YouTube-like site, can create DVD and burn it to disc.